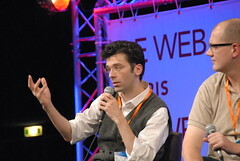 On October 24th I will be in Amsterdam giving a presentation for Blog08 "Rockstars of the Web". All I will say right now is that this presentation will be inlike any other you have seen me do, or anything that will be done at the conference. Let's just say it will be incredibly entertaining and informative at the same time. I've got some stories of what happend off camera, tips and tricks. So come to Amsterdam on October 24th, and I will probably also be doing a live recodring of Mobuzz.TV if you want to be a part of the show. 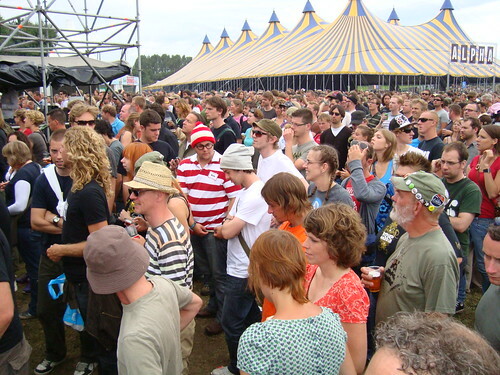 Where's Waldo at Lowlands 2008? Lowlands 2008 -, originally uploaded by gabemac. Where's Waldo @ lowlands 2008? Props to the first person who notes him on flickr.